Catering is an integral part of the service and facilities available at the Waitemata Golf Club. Catering for every occasion, whether you are a member or casual golfer using the Clubs facilities, or looking for a venue for a private function you can be accommodated. We can tailor the catering to meet your needs, whether it be a social gathering, birthday party, corporate function or just a get together. Over the summer months we also host Friday night dinners, as well as Thai dinners on a Sunday night. These evenings are incredibly popular with members and visitors alike. Bring the family along for a relaxing evening in the sun! Bookings are essential, call 09 445 8716 to enquire. 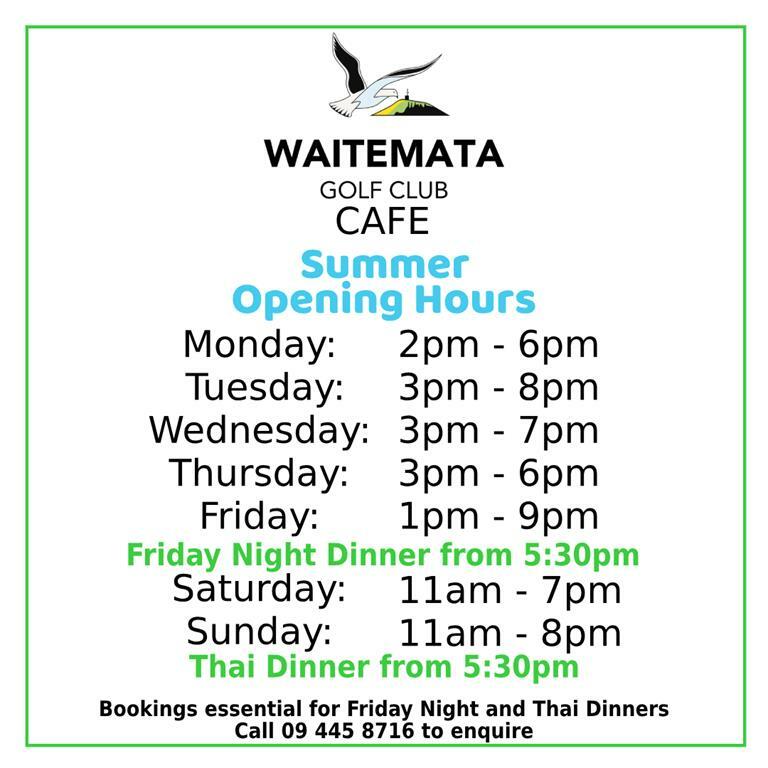 See below for summer opening hours. Contact our caterer Goldie on (09) 445 8716 and ask about food and catering options.